Even if you have a contract with a deadline which is drawing near, Padco Packaging Development Company, Inc. can assist you. We will perform our full packaging service in a maximum of 5 days after we receive your parts, though if necessary, we can ship your parts out the very next day! 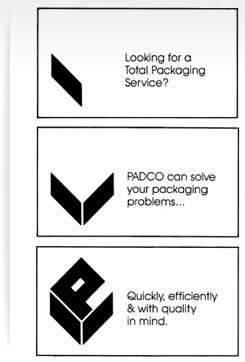 Even if you have a deadline which is drawing near, Padco Packaging Development Company, Inc. can assist you. We will perform our full packaging service in a maximum of 5 days after we receive your parts, though if necessary, we can ship your parts out the very next day!